The Animal Welfare Society graciously thanks amazing youth supporters for their kindness, compassion and generosity. You are heroes to our animals! 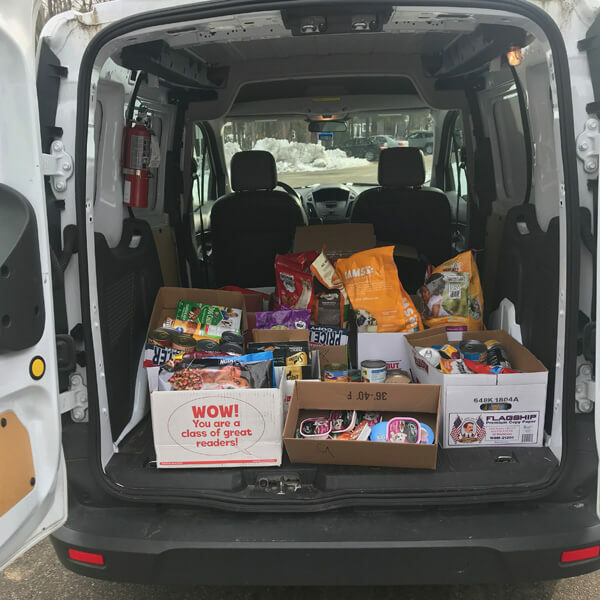 The students of the Mildred L. Day School collected items on behalf of the Animal Welfare Society and the Community Outreach Services Food Bank. In total the students collected 2,008 items for pets and people! This is Isabelle, she stopped by to donate money from a lemonade stand she hosted in memory of her dog Edgar. Edgar was adopted from AWS and passed away recently. She made the lemonade from scratch and had a squealing good time playing with Hamlet! Jack stopped by to donate his proceeds of his families lemonade stand. He enjoyed spending some time with the kittens while he was here. 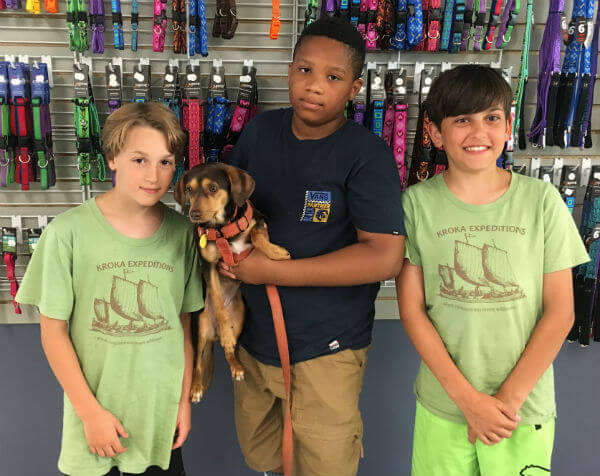 This is Benjamin (on the left) with his pup Trinity, and friends. 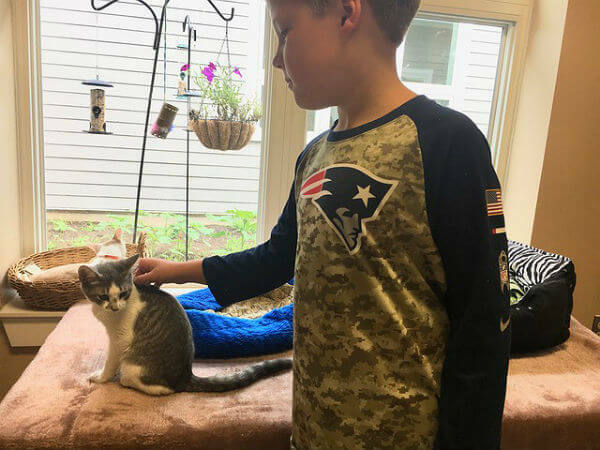 Throughout the year, Benjamin took initiatives to raise money for the Animal Welfare Society. He made tick prevention kits, and presented on the programs of AWS at local craft fairs! 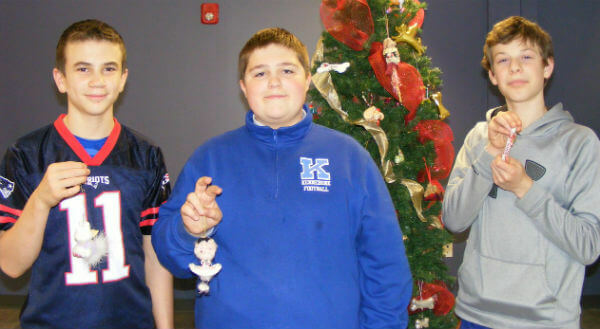 Benjamin is a regular Summer Camper and loves spending time with his dog. 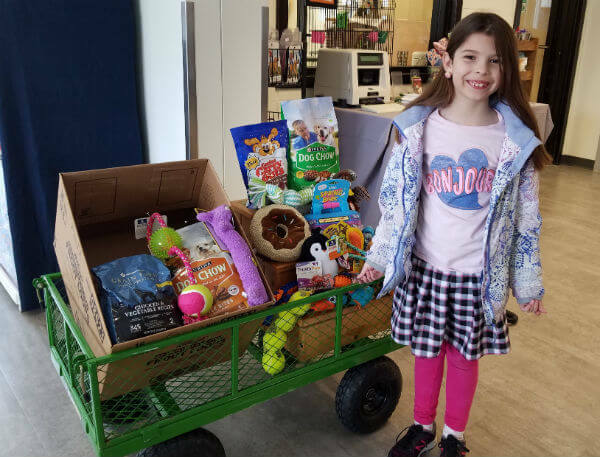 Our amazing friend Kiera asked for gifts to help the animals instead of gifts for her 8th birthday! Look at that! Our dogs will have fun playing with all those toys for sure! Thank you Kiera! One of the rites of passage of many local eighth-graders is to do a Community Service Project. 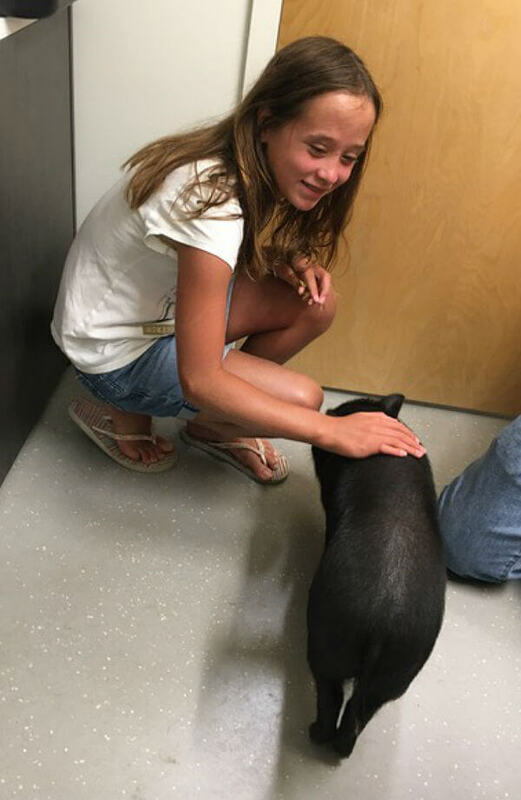 Lots of eighth graders have pets, some don’t, but many want to help the animals in any way they can. These three warm-hearted winners are Ashton Wilson, Connor McGarry, and Griffin Johnson from the Middle School of the Kennebunks. They decided to donate some of their time after school recently to help get the new AWS lobby and Obedience and Humane Education rooms spiffy for the Holiday Season. They meticulously decorated the tree pictured behind them and helped put away donations, moving heavy boxes from one building to another, having a great attitude all the while! See you again soon, gentlemen, and thanks again!